Does your motherboard support only M.2 SATA SSD Drives? If yes, then an M.2 NVMe will either not work. Now, this could be confusing to many, since both are M.2, looks similar, however, the interface and bus speed is different. Before you pick any of these, ensure that you have the correct type. Most of us are well aware of SSDs that deliver much faster storage access compared to conventional HDDs. An M.2 SSD offers the same or even better storage performance as any traditional SSD, but it is more compact in form factor. This specialized form factor is referred as Next Generation Form Factor / NGFF or M.2 (pronounced as M dot 2). M.2 SSDs are utilized for high-performance storage in thin, power constrained devices. These drives are used in an ultrabook, notebooks and tablet computers. They are comparatively smaller and lightweight compared o SATA SSDs. Thus, they are used as an alternative for size compact devices. Compliant Standards 256-bit AES, IEEE 1667, S.M.A.R.T. 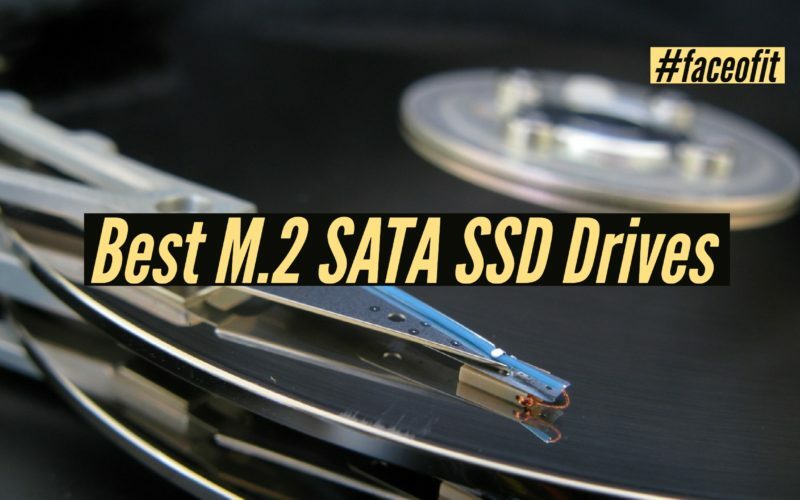 We hope our list of top M.2 SATA SSD Drives helps you to choose the right product for yourself. Remember, these drives are only best for upgrading size and power compact devices such as notebooks, laptops, and tablets. If you have any query or advice, please feel free to use the comment section below. See you until next post!